The Texas Senate backed bills that would subsidize private school tuition and study the state's school finance system. Editor's note: This story has been updated to note the passage of legislation on studying the school's finance system. 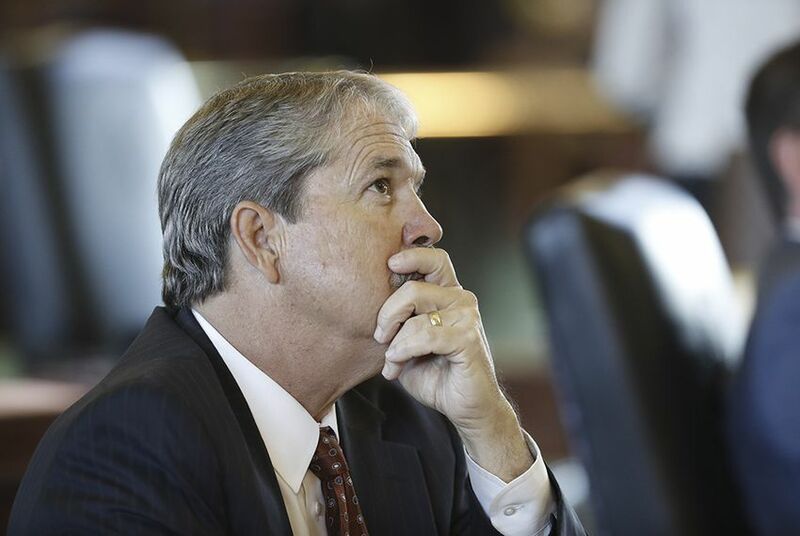 The Texas Senate tentatively passed legislation Monday to subsidize private school tuition and a bill to study the system for funding public schools — two of six bills the upper chamber discussed Monday. After debating for almost three hours, the Senate voted 19-12 to pass Senate Bill 2 creating a “private school choice” program, authored by Senate Education Chairman Larry Taylor, R-Friendswood. Later in the afternoon, senators discussed Senate Bill 16, which would create a commission to study school finance, for less than an hour before passing it unanimously. Each piece of legislation addresses issues that Gov. Greg Abbott included in his call for the July-August special session. SB 2 would create a tax credit scholarship program subsidizing private school tuition for students with disabilities. The Senate Education Committee sent the measure to the full Senate on Friday after hearing parents, educators and activists testifying for and against the bill for eight hours. "A lot of those kids are very very bright. They just need a little bit more help," Taylor said of the students with disabilities who would be eligible for the scholarships. Under SB 2, an estimated 6,000 students would receive scholarships of up to $10,000 to attend private schools. An additional 26,000 would receive $500 to stay in public schools and pay for supplemental services or transportation. Funds would come through donations from insurance companies that would receive premium tax credits in return — capped at $75 million. The bill also includes $270 million for public school funding, including $60 million for charter schools, $60 million for fast-growing public school facilities and $150 million for a hardship grant program for struggling small, rural schools that relied on a now-expired state aid program. That funding would be borrowed from the Health and Human Services Commission by delaying a payment to health care companies providing Medicaid. Taylor said Monday that the state would delay the August 2019 payment to the companies by one month, then pay them double in September 2019. Sen. Sylvia Garcia, D-Houston, unsuccessfully proposed an amendment that would require the Legislature to take that funding from the Rainy Day Fund, a pot of emergency funding for the state, instead of borrowing it from health care companies. Democrats also unsuccessfully tried to amend the bill to require private schools receiving the scholarship money to be held to the state accountability system and held to a federal law protecting kids with special needs. "There were concerns expressed by educators, parents, teachers and others, on the fact that there is no accountability for the private schools that these students would be going to," said Sen. José Rodríguez, D-El Paso. "For private schools, we're okay with the minimum standards of accreditation." Taylor said private schools should not be subject to any new state regulations because parental choice holds private schools accountable for educating students. "If that parent is not happy, they can leave, for whatever reason," he said. A similar bill passed the Senate 18-13 during the regular session this spring. In passing SB 16, senators backed the creation of a 13-person commission to make recommendations to the Legislature on how to improve the funding system for public schools, informing discussions in the next legislative session. Taylor refused to accept several amendments to the bill from Democrats, who wanted to specify what the commission would study. Garcia unsuccessfully proposed an amendment that would require the commission to study how to implement high-quality pre-K in public schools. “I don’t want to limit or bind the commission in any way. I want them to be open to different ways of looking at things,” he said. The Senate did not take up Senate Bill 19, an education bill on its agenda this week that would provide bonuses and pay raises for long-term teachers, and reduce health-care costs for retired teachers.